A Yid: What do you know about the siddur I use; Kol Yaakov HaChadash? One of the common Nusach Sfarad sidurim. And I have no idea how it was compiled. I don't use it (I never used regular Nusach sfarad sidurim, because I tried to use sidurim which are more meduyek according to nusach Ari za"l). I believe that R'Shlomo Spira, the father of the Darchei Teshuva, created the Munkacs nusach. R' Shlomo ([7 Chanuka] 1831 - 1893 [21 Sivan]) was born in Rybotycze, Galica. In 1851 he married Chaya Frima Rivka, daughter of R' Yekusiel Shmelke of Sasov. In 1857/8 R' Shlomo accepted the post of rabbi in Strzyzow, Galicia. In 1882 they moved to Mukachevo. His wife passed away on 14 Tishrei, 1887. They had 2 known sons. You are right. He started to compile it, and Darkey Tshuvo continued his work. Mukatcevo is it's name in Russian. Not sure about your criticism of R. Rimmer's siddur. He did not intend to write a nusach Sefrad (chassdish). Rather, he wanted to attempt to reconstruct the nusach as the Ari had it. It is fairly clear that the Ari's nusach and that of nusach sefard are different. While nusach sefard attempted to incorporate much from the Ari they are not the same. This is so, even if the ba'al hatayna called his siddur nusach ari. It doesn't change this key fact. I wrote exactly about my objections to R' Daniel Rimmer's conclusions. He approaches the words of Rabbi Chaim vitall literally and simply following his instructions to apply alterations to the Turkish sidur Sfarad shnas RP"D. Which is not a problem on its own, and may be very much the nusach which Rabbi Chaim Vital used! But such approach is simply technical and it lacks any mesoyro on this issue! Baal Shem Tov and his talmidim had MESOYRO. And they understood for some reason, that these alterations may be applied not only to sefardic sidur like those of RP"D) but to nusach Ashkenaz as well! How did they know it? This is a mistery. But it were the Baal Shem and his chevraya! And they definetly held like this, understanding that shaar hakoylel is not a fixed nusach (literally the same), but rather this set of alterations which can be applied to sefardic or ashkenazic nusach. (Thus they understood Rabbi Chaim Vital's remark about RP"D as speaking primarily to sfardim). Therefore it is strange, why Rabbi Rimer so radily drops the whole approach of the Baal Shem Tov and his talmidim, and even questions if they really had it, however he admits in few places that they did! (Thus somehow contradicting himself). Mr. Rabinowitz brings out an excellent point. The practices of the early Chassidim are NOT those of the Arizal, although they may be based on the Arizal's teachings. This of course even applies to recent times, where various Rebbes and Chassidic groups only use some of the Arizal's minhagim. For example, while Chabad davens what they call Nusach HaAri, tie tzitzis and wrap tefillin in what some sources say is the style of the Arizal, and only say one brocha for both the shel rosh and shel yad, they generally put the Rashi shel rosh on while standing, as per Ashkenazi custom, and not sitting as the Arizal did. I fact, I think that the Baal Hatanya paskens in his Shulchan Aruch that one should sit. Interestingly, many in Breslov, and I am guessing in other groups, sit while putting on tefillin, but say two brochas. And certainly Chabad and many, many other Chassidim are not careful to wear white on Shabbos, while others are careful. One should keep in mind that that there is a distance in time and also in place between the Arizal and the Baal Shem Tov, and also in methodology and outlook. 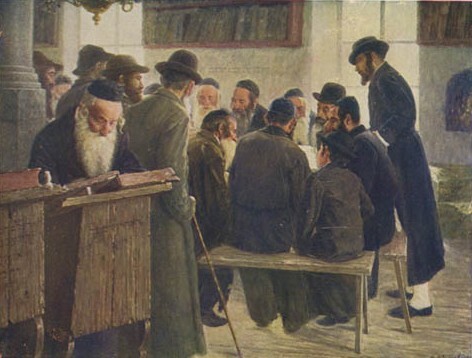 The Arizal taught to a small group of highly trained people over a short span of time (about three years)one spot, while the Baal Shem Tov traveled, taught for many years both publically and privately, and had followers that ranged from simple people to to people who one day themselves would be rebbes. A quick look through Rabbi Dovid Sear's wonderful sourcebook "Path of the Baal Shem Tov" shows that the Baal Shem Tov did not follow all the practices claimed to be the Arizal's, and perhaps more interestingly, the Maggid did not always follow all the minhagim of HIS rebbe, the Baal Shem Tov. So perhaps those of us who feel passionate about Chassidus, should remember that we are seeing the teachings of the Arizal through the eyes of the Baal Shem Tov and those who follow his path, which may be different from how he himself might have done things. > from how he himself might have done things. This is true however rarily. There is a mayse of a dispute between the Baal Shem Tov and Ariza"l sbout kavonas hamikve. However not only this is an issue, but the fact that Baal Shem Tov and his talmidim had a very deep oral mesoyro about what Ariza"l ment, about Kobolo in genral and etc. Which might not at all apparent just from common written sources! And it has differences from that of the Rasha"sh school or other schools of mekubolim. Therefore this should be taken in the account, even though this traditions are often unknown to many or unclear. I wasn't suggesting that there was a dispute, and I actually didn't know that there was a mayse about kavonas hamikva. Indeed, when I said we are seeing things through the eyes of the Baal Shem Tov, I really meant what you are saying, that the Baal Shem Tov had a certain massorah. Likewise, the sfardim seem to have a certain messarah about the customs of the Arizal, one that at times seems to differ from that of the Chassidim. My point is that what the Arizal actually did might not fit into either tradition. Which by the way doesn't make either massorah wrong as such. It is a fact that Chassidim are not faithful 100% followers of the Arizal despite all the rhetoric and lip service they pay to him. Another example is during sefira - the Arizal didn't cut his hair for the whole sefira period, while Chassidim do otherwise. I am not quite sure where you get this from, as the Chassidim of Chabad-Lubavitch and Breslov that I know don't cut their hair the whole sefira period, and I gladly let my Jew-fro grow during the whole 49 days. I am sure some Chassidim have different views, and that's ok. Perhaps those groups that have a tradition of sporting ultra-short haircuts on the top and back of the head find it uncomfortable to let the hair grow for the whole 49 days, and that's ok too. Anonymous, do you know any Chassidim who claim to be "faithful 100% followers" of the Arizal? As number of people have use the term "standard nusach sfard siddur", has anyone used the Artscroll Nusach Sfard siddur? How does it for example compare to Tehillas Hashem (as many of us, whether Chabad or not, are familiar with this siddur)? Is it simply the nusach ashkenaz siddur with hodu before baruch sheohmar and extra words in the kaddish? I've never heared of chasidim who make haircuts during sfiro. Small children are special case, and haircut on Lag baOymer for children (opshern) was done by Arizal himself. I don't know about artscroll sidur (I didn't research how it was made, but I doubt they did it better than other nusach sfarad sidurim). About "standard" nusach Sfarad - there is really no such thing to say the truth. There is a whole bunch of sidurim which are considered generic nusach Sfarad and all have differences! Who made them is unknown. Therefore as I wrote before - many try to avoid them, and prefer more solid nusachoys (of Ari za"l). However general chasidic attitude is, that kavono is the most important thing, and not even so much the nusach. (Even though nusach Ari za"l has a high importance for chasidim because of the Baal Shem Tov). Therefore many chasidim are not makpid too much on this issue, and many daven from regular nusach Sfarad sidurim. There are some Chassidim that even daven Ashkenaz, put on their tefillin Ashkenaz... things are not universal by any means. I don't think anyone, Chassidic, Ashkenazic, or Sefardic, claims to completely follow the Arizal. I was told by some Ashkenazi mekubalim that the Sefardi siddurim are perhaps the closest to that of the Arizal. As to Sefira question, to my knowledge, some don't take haircuts or make weddings for all 50 days [except Lag B'Omer & 3 days of Hagbala], while others do so after Lag B'Omer. Personally I don't think that to daven nusach Ashkenaz is proper for a chosid, and I don't know any that do. Divrey Chaim was very verbal about importance of nusach Ari (look in his tshuvo). However he had a number of very unusual views amongts other Rebbes (more close to litvish-Ashkenaz than others). For example he didn't like bouchrim learning chasidus, he wanted them to put tfilin on chol hamoed etc. About the nusach for bochurim I'm not familiar, but this can be possible compared to examples above. Today I'm not avare of such thing in Bobov, Tzanz-Kloyzenberg, etc. "he wanted them to put tfilin on chol hamoed etc." I know I read about that. About the Nusach Ashkenaz for them I less sure. What is the difference between the Nusach Sefard of Munkatch and the Nusach Sefard of Bobov? Also what is the difference between the Chabad Nusach and the original Nusach davened by the Baal Hatanya? Breslov siddurim also have a slight difference than the "standard" Nusach Sefard. I also found an old Tikkun MEir siddur from the Lower East Side which also has a differnt Nusach Sefard which even had Viddui for Krias Shma Hamita and Tikkun Chatzos. Look in sidurim if you want to know. The differences are many. There is no Breslover sidur (i.e. with special Breslover nusach). Bochurim in Bobov wear tefillin on chol hamoed to this day. There was a Chassidishe Rebbe that davened Ashkenaz (see top on p.16 at http://www.yivo.org/downloads/Hasidism_Overview.pdf). It's strange to see how some Hassidim have such antipathy to the holy nusach of Rashi, Baalei Tosfos, Rosh, Rama, Chasam Sofer, etc. > such antipathy to the holy nusach of Rashi, Baalei Tosfos, Rosh, Rama, Chasam Sofer, etc. No antipathy at all chalilo. Just the point that since Baal Shem Tov wanted his talmidim to use nusach Ari, it is proper for anyone who considers himself a chosid following in the path of Baal Shem Tov to pay attention to his will, isn't it? w: Well said. However nusach Ashkenaz is still far more known issue, than nusach Ari. We have sidurim from Roykeach for example and others. The Kol Yaakov siddurim were originally compiled lfi the minhog of a tzaddik I don't remember which, but it had the peirush of Reb Yankiv Koppel ZT"L, a talmid of the Baal Shem Tov. because i am Sephardi i use a Sephardi version, i tried an Ashkenazi one. We ordered the Rabbi Sacks siddur some time ago. His commentary is wonderful. I love his other books too, you must read them if you haven’t. Kol Yaakov is a great siddur, very complete! But generally I use Siddur Chaim Yehoshua, the Artscroll midsized all-Hebrew nusach Sfard siddur. I like the cover. It's the only blue all-Hebrew nusach Sfard siddur I've ever found. It was dedicated by a Ger Chasid so it's probably pretty close to the standard Ger nusach.